WHEN AND WHERE IS THE 2019 SUMMIT BEING HELD? The 2019 Sports Officiating Summit will be held July 28–July 30 in Spokane, WA, at the The Davenport Grand. The annual Sports Officiating Summit is the only gathering of its kind in the world. Nowhere else in the world of officiating will you find such a wide variety of sports and competition levels represented. The Summit is an intense two-and-a-half day event focusing on the topics and issues that are most relevant to the people immersed in the officiating industry. WHO TYPICALLY ATTENDS THE SUMMIT? Because the event focuses on high-level officiating topics, it draws the leaders in the officiating industry, such as state association directors, local association or chapter board members, assigners, supervisors, commissioners and coordinators. But the Summit and the program are specifically designed for anyone who cares deeply about officiating and wants to be a part of the discussions that shape our industry. The majority of attendees are working officials. Most hold leadership positions in their local area or are veterans who have influence. Many are newer or mid-career officials strongly interested in becoming leaders. HOW IS THE SUMMIT DIFFERENT THAN OTHER CAMPS & CLINICS? Most traditional officiating camps and clinics focus on rules & mechanics and include some combination of classroom and onfield/oncourt training. The Summit is different because it is the only national gathering of its kind that exclusively focuses on high-level leadership topics in the officiating industry. Additionally, the Summit features social and networking opportunities to interact and build relationships with the best and brightest in a wide variety of sports and competition levels. WHAT TYPE OF TOPICS ARE FEATURED AT THE SUMMIT? Every year, the Summit’s educational program features a particular theme and many of the educational sessions focus on an aspect of that theme. ARE THERE SOCIAL EVENTS AT THE SUMMIT? Yes! The Summit features a variety of opportunities every year to make new contacts, meet new people and re-connect with colleagues, friends and acquaintances. A few of the mainstay events include our Opening Reception where attendees can mingle with hors d’oeuvres and cocktails, the Officiating Industry Luncheon and the annual Celebrate Officiating Gala, featuring the presentation of officiating’s highest honor, the Gold Whistle Award. WHERE CAN I FIND MORE INFORMATION ON THE EDUCATIONAL SESSIONS? 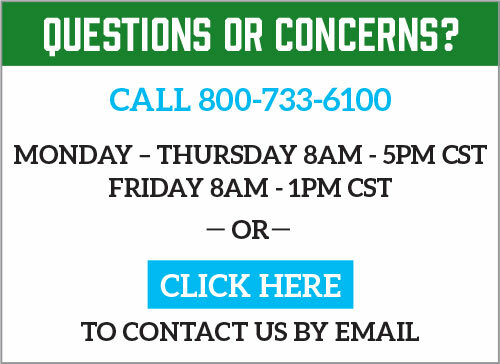 Educational sessions can be found on the Schedule page. A list presenters can be found on the Speakers page. WHO ORGANIZES, HOSTS AND PRESENTS THE SUMMIT? The Summit is presented annually by the National Association of Sports Officials (www.naso.org) in cooperation with the National Federation of State High School Associations (www.nfhs.org). Additionally, the Summit moves each year to a different location in the U.S. and is co-presented by an organization in that state. WHAT IS OFFICIATE WASHINGTON DAY? Officiate Washington Day is a one-day event held on Saturday, July 27, at the Davenport Grand, one day before the Summit begins. The event is sponsored by the Washington Officials Association (WOA) in partnership with the National Association of Sports Officials (NASO). Nearly 1,000 Washington high school officials in seven different sports (basketball, football, baseball, softball, soccer, volleyball and wrestling) are expected to attend. Additionally, 100 attendees of Officiate Washington Day are receiving scholarships to attend the 2019 Sports Officiating Summit the following two and a half days. 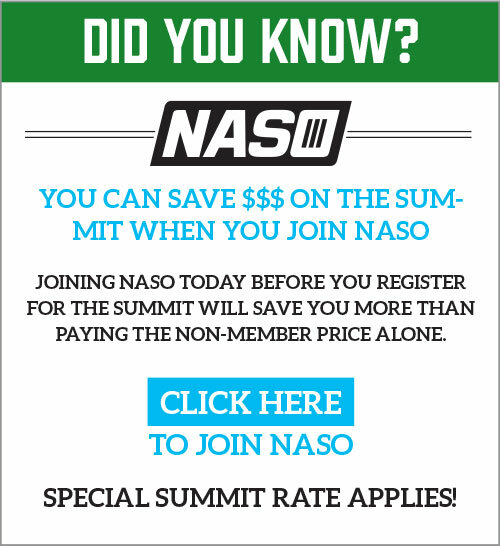 DO I HAVE TO BE AN NASO MEMBER TO REGISTER FOR THE SUMMIT? No, but it will save you some money if you are. It’s easy to join NASO when you register for the Summit. The special Summit rate is $91, which is less than the difference in registration price between an NASO member attendee and a non-NASO member attendee. Join NASO here now! We have early bird discounts available for those who register before June 1, There are group discounts available when you register three or more attendees. And discounts are available for members of the National Association of Sports Officials (NASO). WHAT’S THE DIFFERENCE BETWEEN AN ‘ATTENDEE’ REGISTRATION AND A ‘GUEST’ REGISTRATION? Group registration provides a deep discount when three or more individuals register at the same time with one form of payment (credit card or check). The option is ideal for members of the same local officials’ association, chapter or board who are attending together. 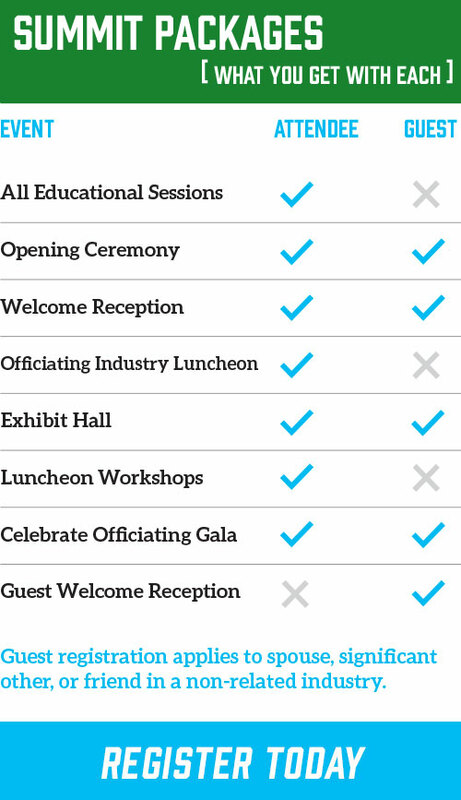 MAY I PURCHASE A TICKET FOR THE CELEBRATE OFFICIATING GALA ONLY? Yes, you may purchase a ticket for the Gala only for a reduced price of $125. Click here to purchase now. WHAT IS THE NAME AND ADDRESS OF THE HOST HOTEL? IS THE HOTEL INCLUDED WITH SUMMIT REGISTRATION? No, hotel rooms must be reserved and booked separately. The host hotel for the 2019 Summit is the Davenport Grand in Spokane, Washington and Summit attendees receive an exclusive rate of $149 per night, plus taxes. Room blocks tend to fill up fast, so you are strongly encouraged to book your room as soon as possible. Rooms may be booked here. Click here to make a hotel reservation with the NASO special rate. Check-in time is 4:00pm and check-out time is Noon for The Davenport Grand. WHAT IS THE BEST OPTION FOR GETTING FROM THE AIRPORT TO THE HOTEL? No refunds will be made after July 15, 2019. Prior to July 15, 2019, a full refund will be made less a $50 Administrative Fee from the total refund amount. Attendee substitutions may also be made prior to July 15, 2019. All requests for cancellation must be received in writing via letter, email or fax.